About Lion's Mane Mushroom Supplements Hericium erinaceus, also known as lion’s mane mushroom, is a very unique mushroom that is widely distributed though North America and Asia. What makes it unique, first and foremost, is its appearance. Lion’s mane, as the name might suggest, looks like the mane of a lion. This is because it has many small spines that lump together to form a "mane." More importantly, Lion’s Mane is unique because of its wide range of applications; ranging from a prized culinary ingredient that is reminiscent of lobster, to a multi-functional dietary supplement which may support a healthy cholesterol while also supporting overall cognition and mood. Our lion’s mane mushroom, like all of our mushroom extracts, is grown deep in the mountains of China, far away from pollution by Nammex Organic Mushrooms. Nammex strives to produce high quality fruiting body mushroom extracts, and their years of expertise in the mushroom extract industry allows them to produce some of the best lion’s mane extracts currently on the market. We carry two of their lion’s mane extracts, a full spectrum hot water treated extract and an 8:1 dual hydro-alcoholic extract. Research has found that various commercial mushroom extract products contain worryingly high levels of heavy metals. To ensure that our products contain safe levels of heavy metals, Nootropics Depot has a rigorous third-party testing protocol in place that goes beyond the industry standard. The industry standard is ‘skip lot testing’, this testing protocol usually tests the first three batches from the supplier to ensure quality standards are met. After the initial three tests, the supplier can decide upon a testing frequency allowing them to test. For example, only every third batch that comes in or only testing a product once a year. Nootropics Depot and various other companies have come to learn that with skip lot testing, a lot of things can fall through the cracks. Due to this, Nootropics Depot tests every single batch that comes in. No exceptions! 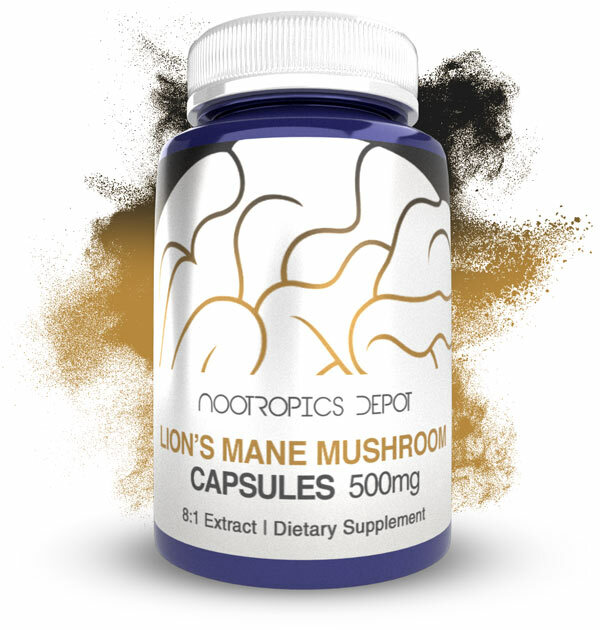 The full spectrum lion’s mane extract is simply the whole mushroom, which has been treated with hot water to break down the cell walls of the mushroom (chitin), which increases bioavailability. The bioavailability is increased because the beneficial polysaccharides (beta-d-glucans) are trapped within the cell walls of the mushroom, thus breaking it down will allow them to become liberated. All of the raw lion’s mane mushroom that goes through this process is collected, dried, and turned into a powder. This means that with the full spectrum 1:1 lion’s mane extract you will be getting every beneficial compound presented in the chart on the right. 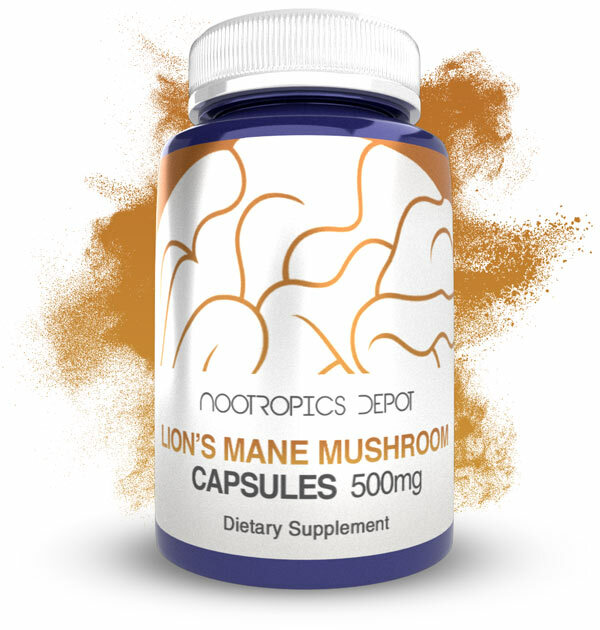 This full spectrum Lion's Mane Mushroom extract produces a very comprehensive effect profile, ranging from immune system support, memory and nerve health support, while also supporting a healthy cholesterol and mood. The 8:1 lion’s mane extract is a more traditional solvent extract. There are various compounds within lion’s mane that are only soluble in ethanol (which can also be seen in the chart on the right) such as a majority of the hericenones, which produce the nerve growth factor (NGF) boosting effects associated with lion’s mane and the various sterol compounds in lion’s mane which help support a healthy cholesterol. There are also certain compounds in lion’s mane, such as the beta-glucans, which are not ethanol soluble and are only soluble in water. By using ethanol as our main solvent during extraction, we can extract and concentrate a higher amount of ethanol soluble compounds. This produces a lion's mane extract that is geared more towards supporting cognitive function than the full spectrum extract. To make the lion’s mane 8:1 extract, a whopping 8 kilograms of raw lion’s mane mushroom needs to be used to produce just a single kilogram of the 8:1 extract. 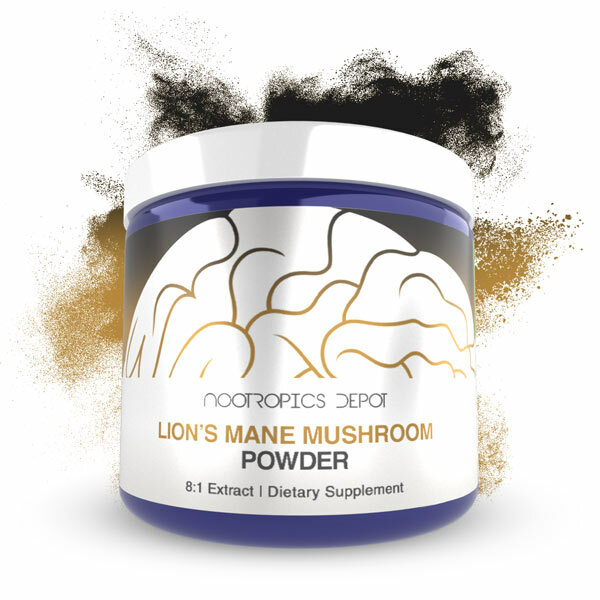 This does not make the 8:1 lion’s mane extract 8 times more powerful but it does shift the character of its benefits due to concentrating the cognition-supporting ethanol soluble compounds in lion’s mane mushroom.. Which Lion's Mane Mushroom Extract is Best for Me? As can be seen on the chart on the right, when we focus our attention more on the ethanol soluble section, we are presented with a lion's mane mushroom extract that supports cardiovascular health and helps support overall cognitive function. Comparatively, if we focus our attention more on the water-soluble section, we are presented with a very comprehensive hericium erinaceus extract that can help support overall health. 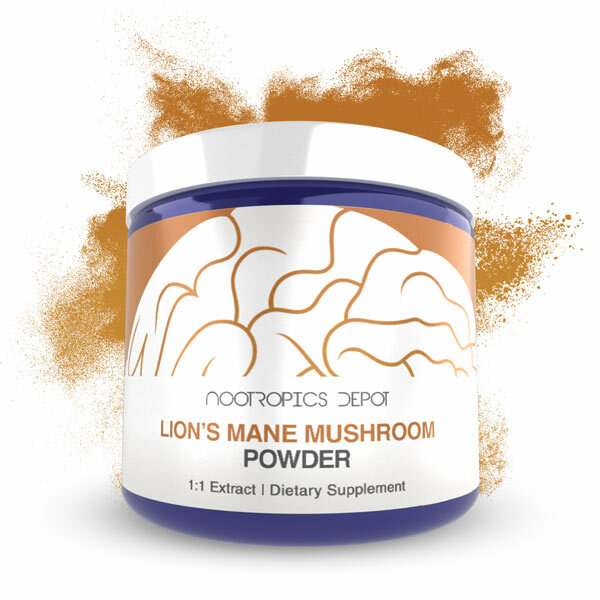 For those looking for daily overall health support the 1:1 lion’s mane mushroom will be your best bet, whereas if you would really like to support cognitive function specifically, then the 8:1 is the clear winner. Polysaccharides (Beta-Glucans), Hericenones, Sterols and Proteins. HEP80: Supports healthy oxidation levels and liver health. HEP3: Supports healthy levels of inflammation while serving as a prebiotic which helps support gut microbiota health. Also supports healthy immune function.